I flagged Chelsea (hope I'm spelling that right) down on Chicago and Grand and she was cool enough to let me take her photo, even though she was running late, and I probably seemed like a psycho. I love her bright knit head wrap, boots, and riding pants. Super cute look for winter. I ran into Laura on my way to work. I love her cute little green cruiser. 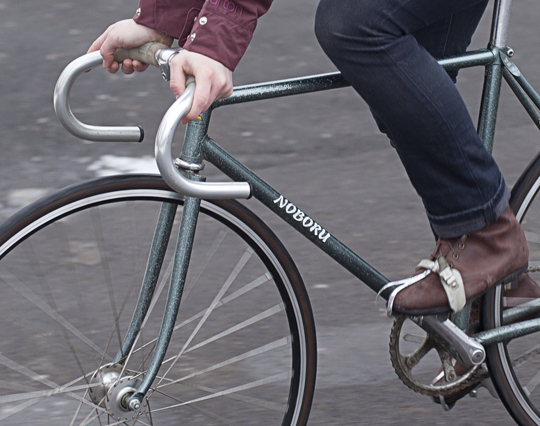 It make me long for a bike that has matching fenders and a chain guard! 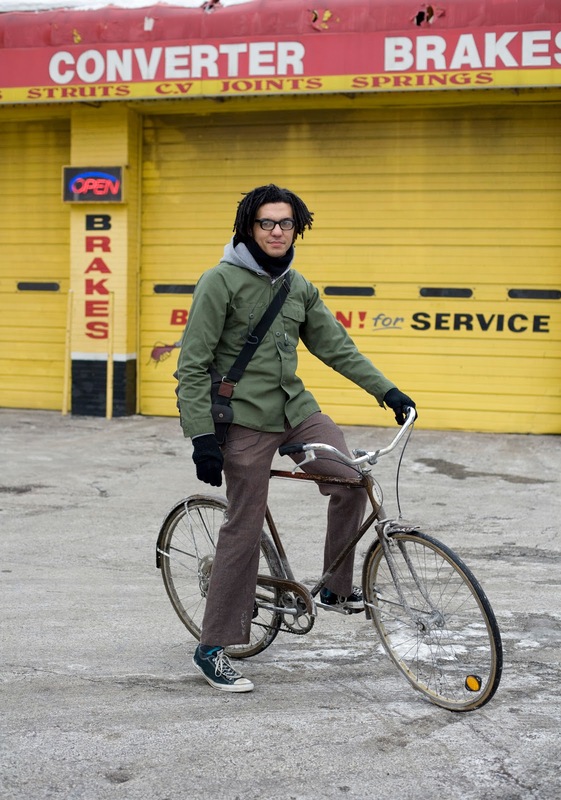 We are lucky to live in a city that used to have a Schwinn factory. 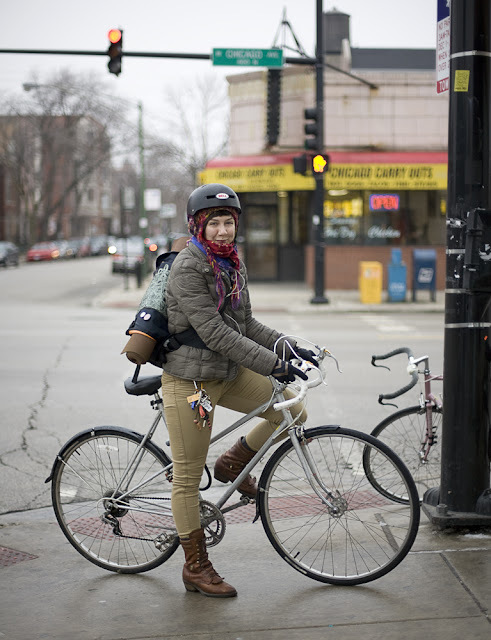 I've notice tons of really well-preserved old chicago schwinns on the bike racks lately. Katie Says "I started riding years ago for a more fun, healthy, and inexpensive way to get around the city. A while back, I became more serious about it after a traumatic CTA incident. Now I ride because I have to, in order to keep my sanity. It is very therapeutic and forces me to push myself further and further with each ride. My favorite rides have been ones that have brought me to new places, whether it be hidden corners of this city, or a new city all together. Exploring on bike is exhilarating. In the fall of 2009, I went to Tokyo for ten days with a large group of friends for the CMWC and it was absolutely life-changing. I also love to ride on winter nights when it is snowing. With a hat, scarf, goggles, and headphones, I can completely detach and feel like the only one left in existence, for a short while." 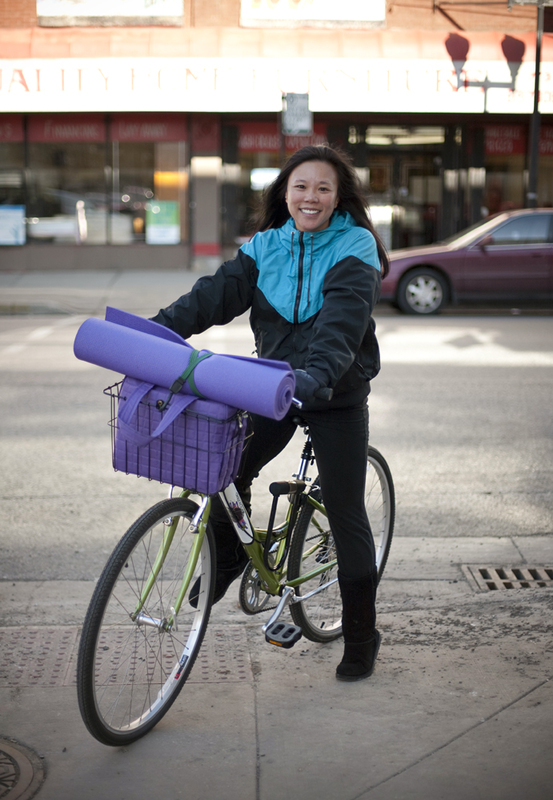 I ran into Anna on her way to Bikram Yoga looking like a very stylish Yogi with her matching yoga mat and bag. Unfortunately, right after class, her bike seat was stolen! Double damn to all bike thieves and bike seat thieves! What is your favorite ride? My current bike is my favorite ride, a Diamondback Serene. It's not too big and it is easy to maneuver in the city. Why ride? It is a pretty nice day for winter in Chicago, and it has been such a long time since I've ridden my bike. It's so much easier to get around! Caitlin rides a 1980s Huffy Team America that she found at a garage sale for $10. When I asked Caitlin what her favorite ride is she said "The Salt Creek bike path, I've been going down it since I could ride, it's surrounded in woods mostly and is very scenic." I ran into Caitlin after a work photo shoot. When I asked her where she was coming from, she said Westchester. Seriously, she biked down 22nd St. all the way into the city, which got me thinking. I'm sure a lot more people would do that if there were cycle tracks or paths that connect the near suburbs to the city, or different parts of the city for that matter. It seems a bit crazy to some people, but a lot of suburbs are under a 20 mile ride (albeit through some dodgy neighborhoods that aren't expecting a bicycle on the street). With the upcoming election, I've been thinking a lot more about the future of our city, and how our bike infrastructure should develop. I am firmly in the camp that wants cycling to be accessible and safe to all types of riders. I'd love to hear your thoughts on the issue. Also, don't forget to vote on Tuesday! Cycling Tip from Chris: "If you bike anywhere in or near Chicago, you should be a member of the Active Transportation Alliance (link: http://www.activetrans.org/membership). 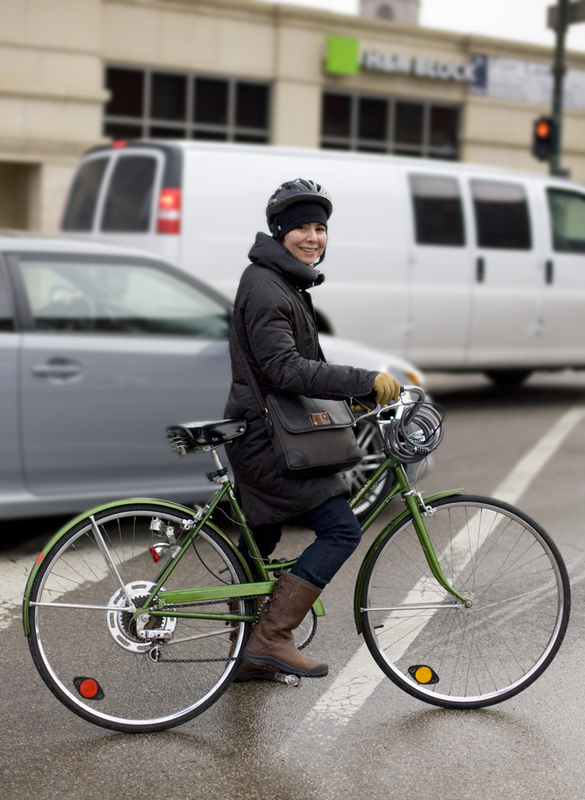 The staff members and volunteers of this non-profit work tirelessly to improve biking, walking, and transit in the Chicago Region. The greater our membership, the louder our voice, and the more resources Active Trans has to get things done. (Full disclosure: I serve on the board of directors)." 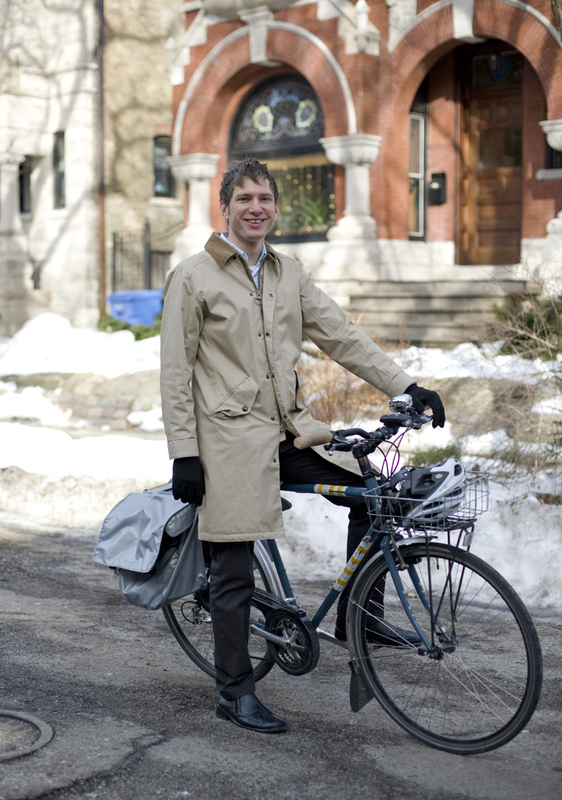 Also Follow Chris' advice and: "Get out your vote next Tuesday, February 22 (link: http://www.chicagoelections.com/), for mayoral and aldermanic candidates who appreciate the importance of biking, walking and transit. I'm on the political action committee of Walk Bike Transit. We help foster relationships between constituents and locally elected officials around active transportation issues. Sign up at http://walkbiketransit.org/signup "
Nico rides for All-City Cycles and loves his new Nature Boy single speed cyclocross bike for winter riding. When I asked Nico what his favorite ride was he said "The best part about doing what I do is doing it in as many cities as I can. My bike has taken me from Chicago's flat-but-chaotic grid, to the green hills of Seattle, the deliciously timed lights of New York City, the blinking madness of Tokyo, the volcanoes of Guatemala, Boston, Minneapolis, Milwaukee, Philly, and pretty soon Berlin and Warsaw. Every place I go offers something so diverse that its hard to single out a favorite... Actually that's a huge lie, its not hard at all. Tokyo was like nothing I've ever seen. I would go back a million times if I could. The ride I'm on right now though is going to turn someone's Sushi order into money in my pocket, so I'm quite fond of that." Where are you headed? "I'm on my way to pick up my first run of the day actually. 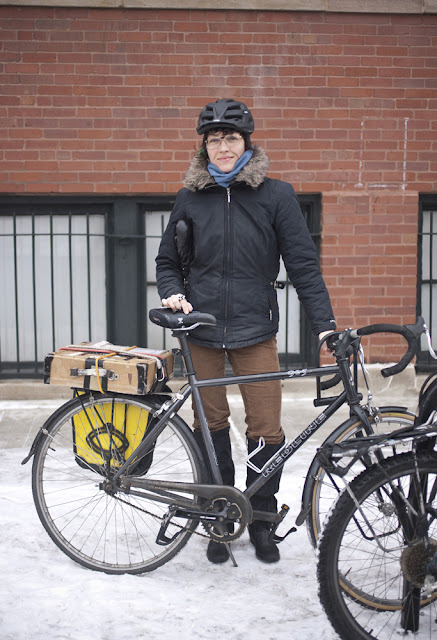 In addition to regular messenger work I also deliver food by bike. I deliver food for Up Top Delivery. We are a courier company who focuses on restaurants as clients. 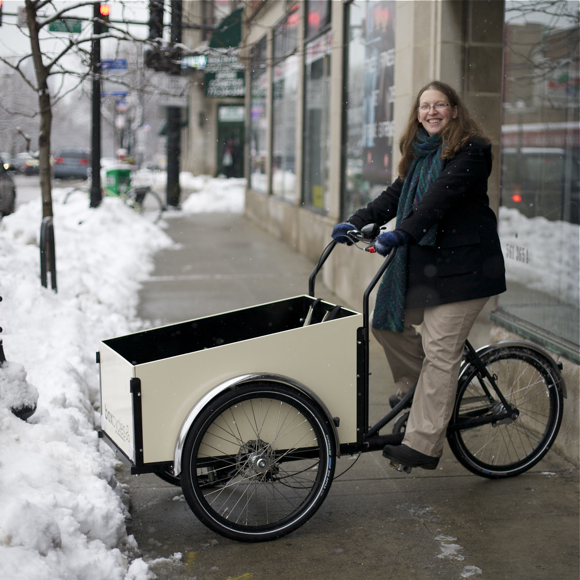 In the downtown area we deliver for about a dozen different restaurants and maybe another dozen in Wicker Park. Food delivery is a lot different than the 9 to 5 type work because everything is on a Triple Rush. Nobody orders Chicken Vindaloo on two hour service. They want it ten minutes ago. There is a lot of sprinting and trying not to spill Miso, Matzo, or Masala in your bag." 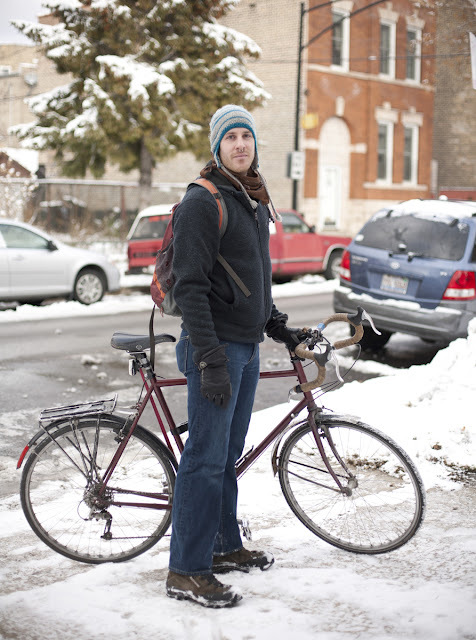 When I asked Brett why ride he said "Riding is the perfect way to get around the city, it alleviates all the burden of living in a crowded city. No traffic jams (except during critical mass), no parking issues (except during pitchfork :P ), and you don't have worry about getting gas (except after leaving lazo's <self-hi-five>) But seriously it is the best way to get around AND a great way to stay in shape, without making the effort of trying to stay in shape." Ben Says: "I purchased my Surly from a small bike shop in Port Townsend Washington, originally, to ride from Anchorage, Alaska to Mexico. I only got as far as Portland, but fell in love with the bike. 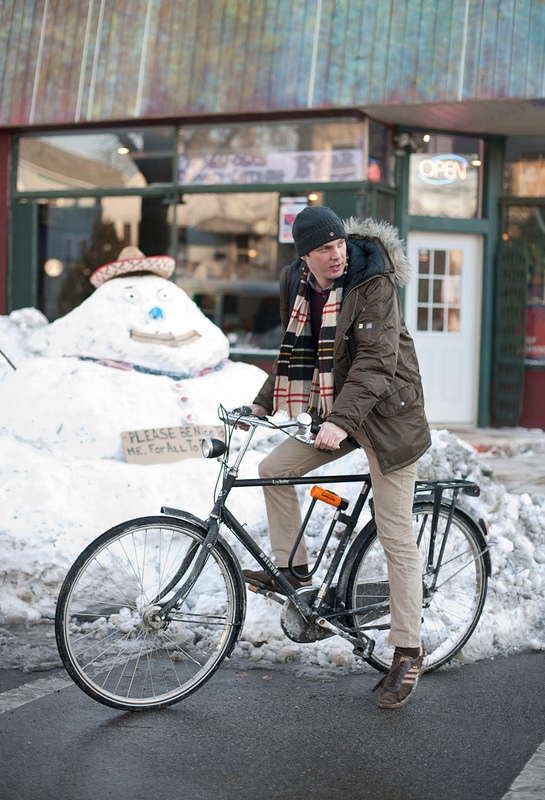 I still use it for long-distance touring, but it doubles as a great winter bike. I got rid of my car 4 years ago. 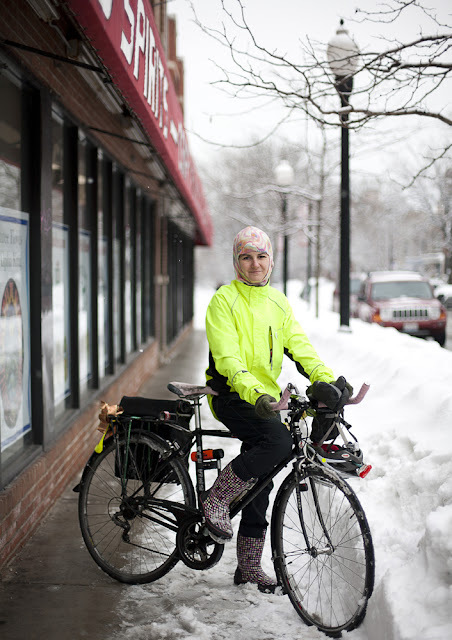 I ride Pretty much everywhere, all the time – in Chicago and around my office in Lombard. I love winter riding." 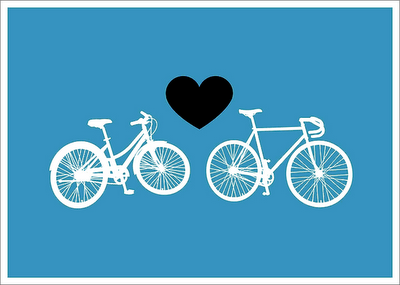 In honor of the Valentine’s Day holiday, Bike Fancy is devoting a week to cyclists of the male persuasion. My Guys Week sponsor is locally manufactured menswear company Nonetheless. They make sustainable, well-tailored active wear, with all of the bells and whistles of high end cycling gear, but designed for the sharp-dressed set. I guarantee you’ve never seen shirt with armpit vents look as cool as this. For 30% off, type BIKEFANCY30 when checking out. Jason Says: "A few years ago, a friend gave me a bike. That evening, riding for the first time since high school, I hit a pothole, crashed and broke my hand. I decided that being hunched-over on a lightweight road bike was not for me. Don't be afraid of the solid steel." Katie, Paulina at I-290 bridge, Chicago, IL. Because I am in love. I love the peaceful, graceful and animal like feelings I get when on the saddle. I enjoy my commute, especially this particular spot. For whatever reasons it brings me to account everyday to what is important in life. Biking helps me manage the stressful and emotional side of nursing. Along the ride, I smile at people and enjoy the now. ** Katie is Miss November in this year TyK calendar. Buy one and support The Chicago Women’s Health Center. Danielle takes slow rides on her Boxcycles Christiania Trike dubbed "Roxy the Boxy" by her son. I met Danielle at the Ladies that Bike and Brunch. She is still biking winter at 36 weeks pregnant! What an inspiration. them as a pregnant mama), or by weather (except for safety, of course) just ride. the sunshine, the rain. Love it all. Elizabeth rides a commuter bike affectionately name "Toro" (in honor of her bullhorn style handlebars - complete with pink bar tape) She acquired the frame - a Schwinn Worldsport - from Working Bikes years ago and since then it has gone through a couple of build-ups. 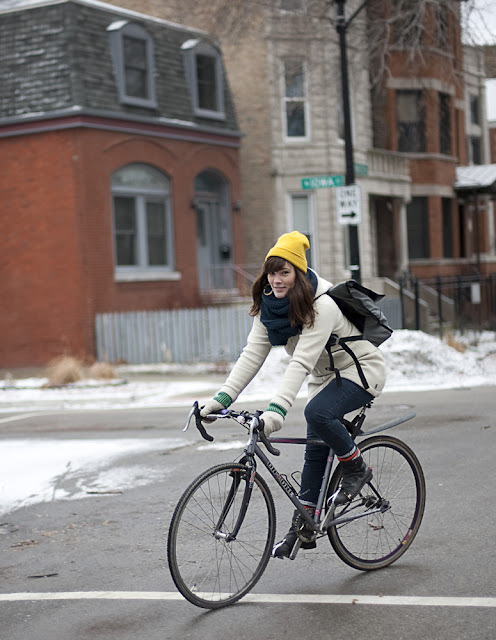 It's February here in Chicago and we here at Bike Fancy (okay its only, me but lets pretend) are decidedly less fancy. I'm really loving my Christmas gift of Cole Hann rain/snow boots, and on the really blustery days I wear these Ski Goggles. The amber lenses block blue light, and make winter look about 100% more beautiful. They seriously improved my mood, so I did a little research and found this study: http://www.healthforworld.com/amber-colored-lenses. I guess they seriously improve a lot of people's mood, crazy. Now I'm scouring Ebay for vintage Blueblockers to extend the bliss into spring. 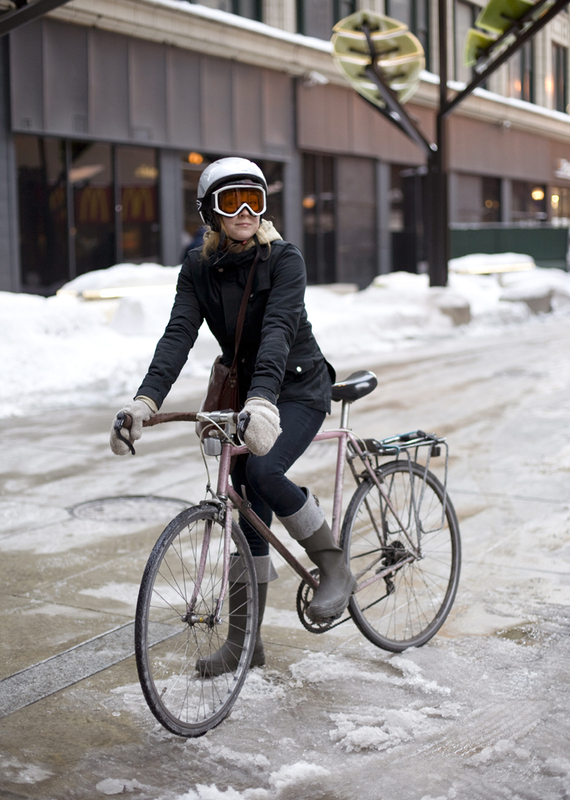 It is probably too optimistic to hope for a set of full fenders for Valentine's day, but damn this Chicago slush. 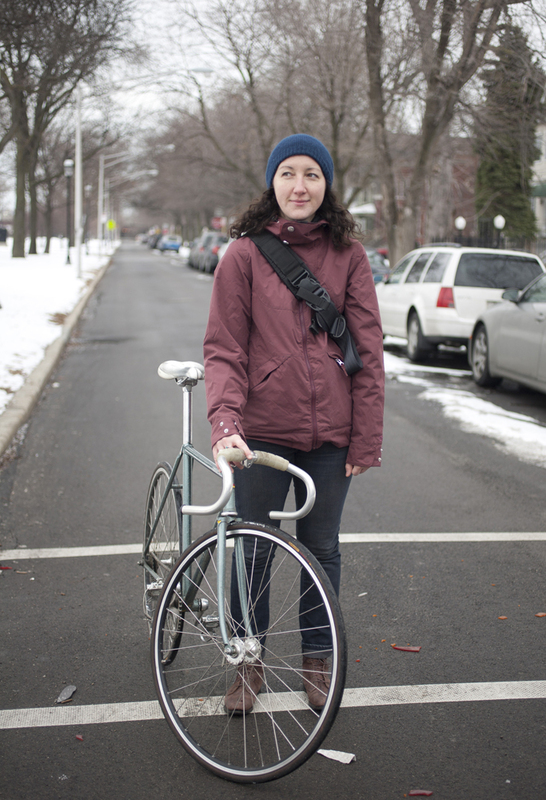 Deborah rides a single speed black redline 9-2-5, with marginally nubby tires for the Winter. I had to ask Deborah... What's in the suitcase? She said "the suitcase thing is full of my film prints that I am shipping out to the Northwest Film Center in Portland. I have a bunch of shows out in the NW in about a week, but leave early tomorrow for a festival in Rotterdam, so had to get them out today." 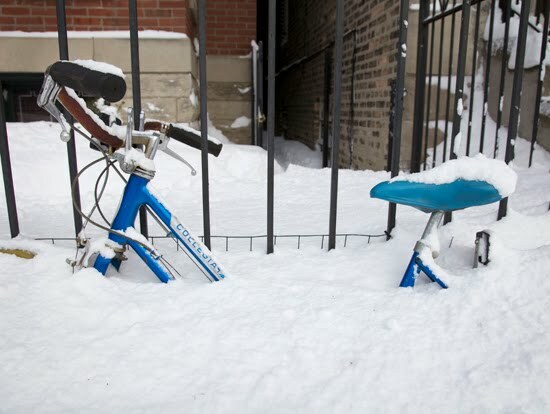 Chicago has experienced some greater than average snow fall in the last 24 hours (about 2 FT), and the entire city has been hibernating. My office was closed and I had the luxury of working from home today. That said, there were still a few cyclists on major roads, but most of the side streets were impassable. 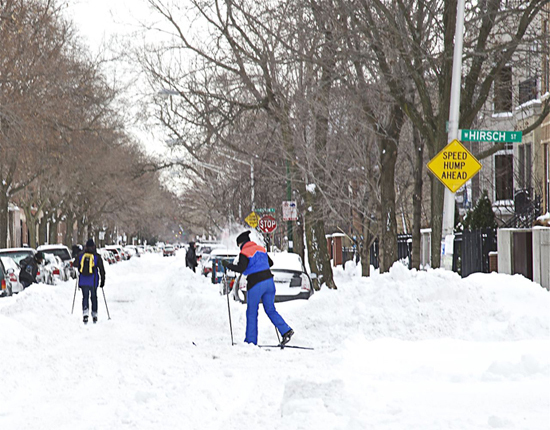 Check out the people cross-country skiing down the street in my neighborhood!